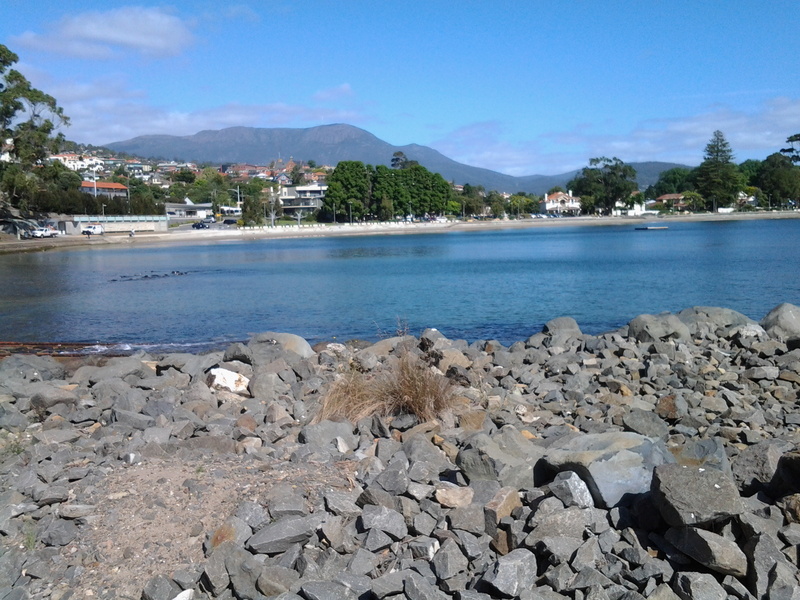 Continuing Stage 11 of my walk along the Derwent River, I walked the foreshore from Long Beach towards Blinking Billy Point. Looking northwards, the crescent of Long Beach stretched before me. I passed a new set of public toilets around 10am and ten minutes later I was walking around Blinking Billy Point. 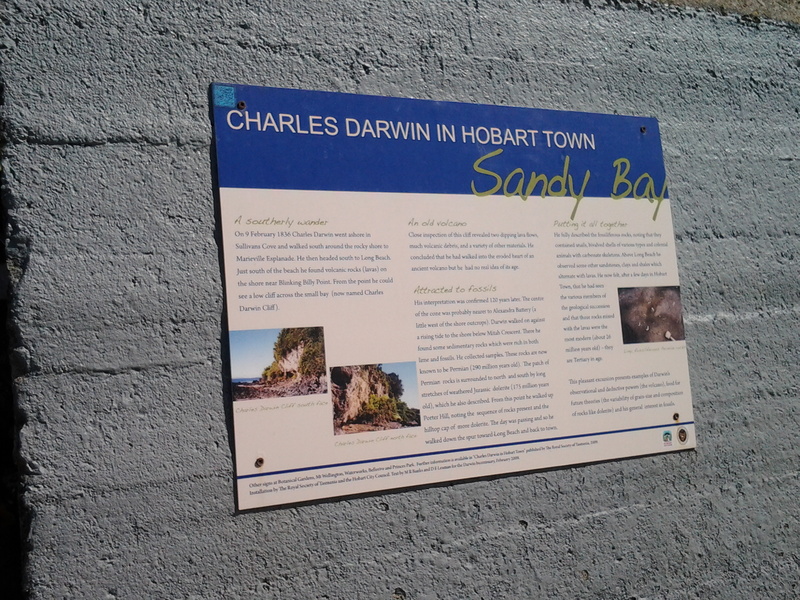 This was an area to which Charles Darwin (http://www.biography.com/people/charles-darwin-9266433) walked from Sullivans Cove (my starting point for this Stage of the walk) in February 1836. The area’s local government has remembered the occasion with an information plaque. Out in the water is a marker for water craft: the John Garrow Light (established in 1953). I have known this was a marker used in the Sydney to Hobart Yacht race but I had never known where it was located. Now I know: almost east of the Blinking Billy old lighthouse. 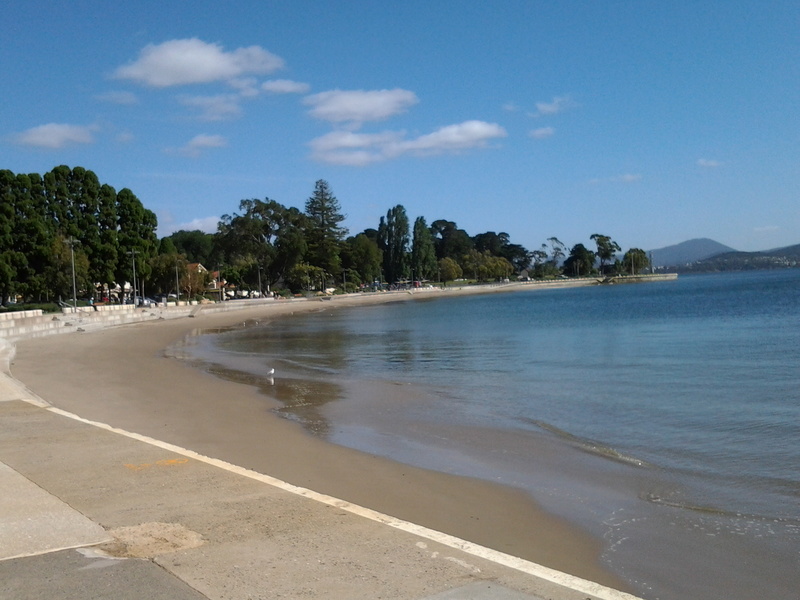 According to http://www.maritimetas.org/sites/all/files/maritime/nautical_news_winter_2002.pdf, John Garrow was a Sandy Bay pastry-cook, who lived in Bath St. 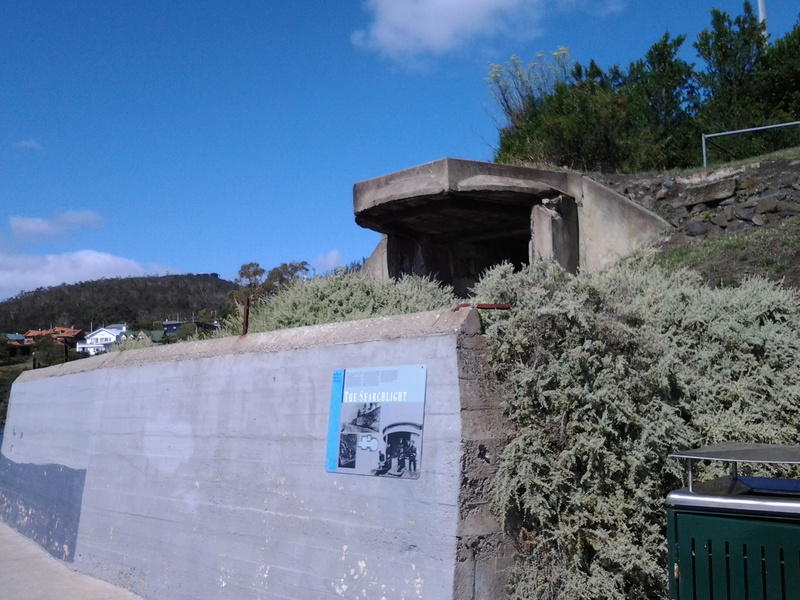 Battery Point and died 1924. This begs the question – how did a nautical navigation tool come to be named after someone that seemingly had no connection with the Derwent? I noticed that the Point has old defence structures embedded in the cliff. 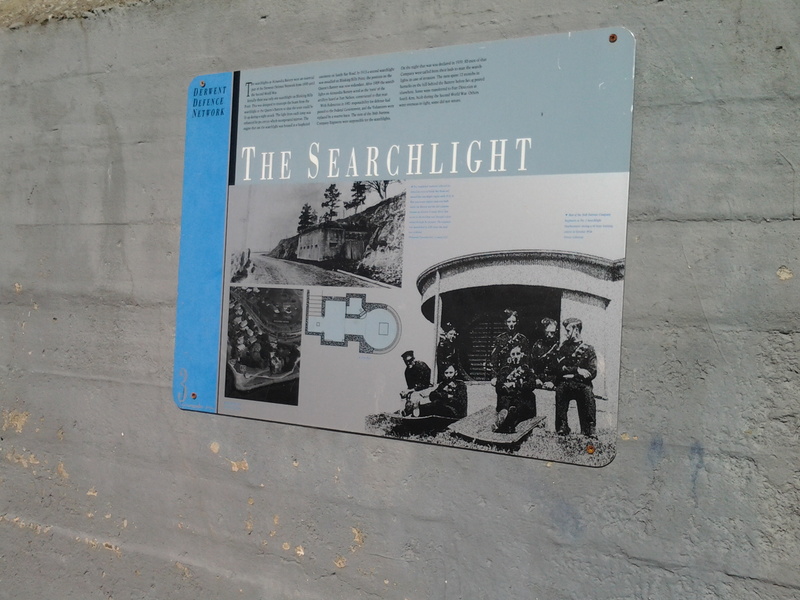 I learned that these were an adjunct to the huge hill behind with the remnants of the 19th century Alexandra Battery. Looking down the Derwent River through the glitter of the distance to the eastern shore, I could pick out Trywork Point (the southernmost tip of land before Ralphs Bay begins) and Gellibrand Point (the northern most point of the South Arm peninsula) both providing the ‘gateposts’ to Ralphs Bay. Previously, I explored these distant Points on Stage 2 and 3 of my walk. 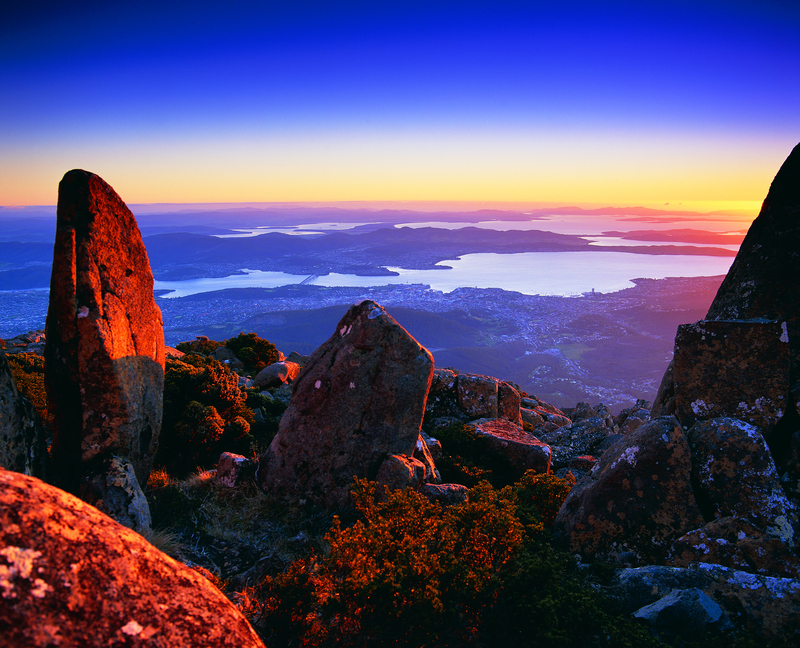 Then I looked back to Long Beach from Blinking Billy Point with Mount Wellington in the distance. How peaceful the world seemed. Despite the promises of a short beach in Geography Bay after the Blinking Billy Point, I knew better than to have expectations that continuing my walk on the foreshore was possible. 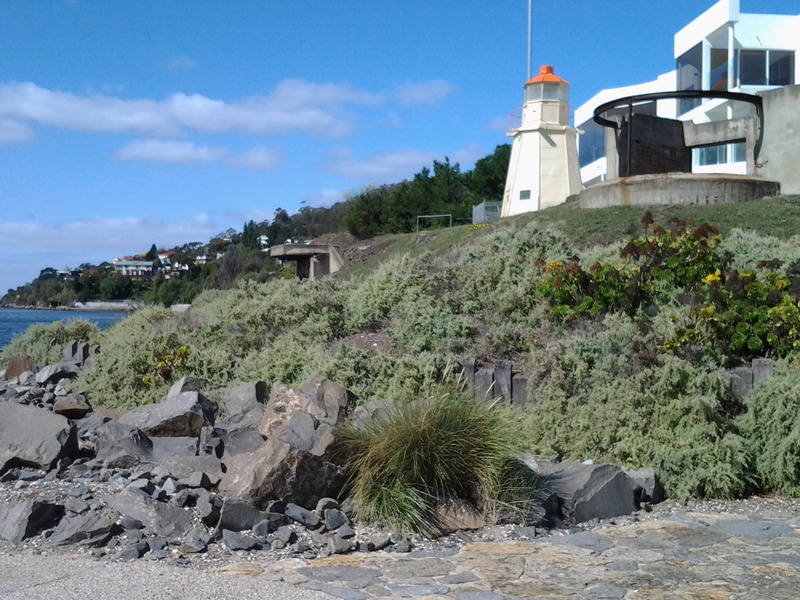 The Sandy Bay Foreshore Track finishes at Blinking Billy Point. 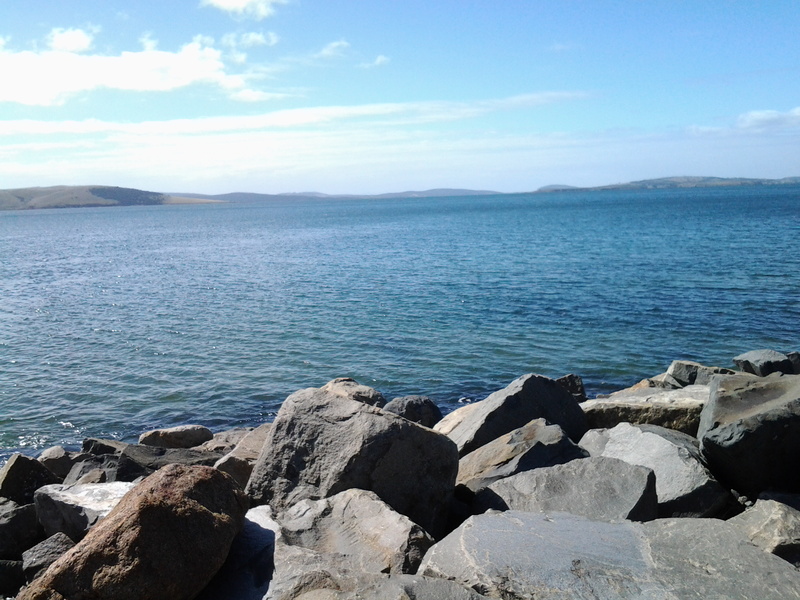 Some years ago a friend and I tried to walk the rocky shore southwards from Blinking Billy Point but, as the tide came in, there came a moment when we couldn’t move forward or backwards. I remembered we scrambled up through someone’s property; the people were not at home and we let ourselves out onto the street hoping no alarm systems would be alerted. We were lucky that day. Based on that memory, I knew it was not worth proceeding any further and retraced my steps around Blinking Billy Point until I could walk up to Sandy Bay Road. 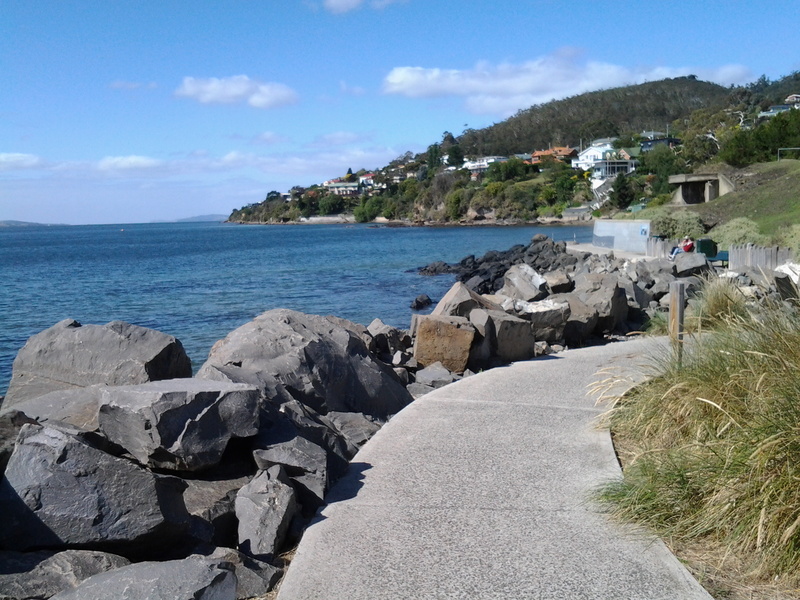 This entry was posted in Derwent River, Hobart, Mount Wellington, Tasmania, Walking and tagged Alexandra Battery, Bath Street, Battery Point, Blinking Billy Point, Charles Darwin, Derwent River, eastern shore, Gellibrand Point, Geography Bay, John Garrow Light, lighthouse, Long Beach, Mount Wellington, pastry cook, Ralph's Bay, Sandy Bay Foreshore Track, Sandy Bay Road, Searchlight, South Arm, Sullivan's Cove, Sydney to Hobart Yacht Race, Trywork Point on January 27, 2015 by Tasmanian traveller.